Garage Doors in Moncton | Home | Despres Garage Doors Inc. Since 1985 Despres Garage Doors has offered the greatest selection of garage doors in Moncton and surrounding areas for residential and commercial applications. We have proven expertise in every phase of garage door installation, maintenance, service and repair, as well as an extensive inventory of replacement parts and accessories..
We’ll find the right garage door to match your needs. Getting the proper advice when buying a door is essential; after all, you buy just 1 or 2 garage doors in your entire lifetime. Come and visit our showroom at 2268 Route 115 (Irishtown Rd.). Our team will be happy to talk to you and assist you in evaluating your needs so that we find the perfect system to match your requirements and your budget. Our business hours are 8:00 AM to 4:30 PM. Or if you prefer, we also provide a free at-home estimate and design consultation service. Few homeowners realize that the biggest moving part of their home is their garage door. That's why safety, security, and reliability are so important! And we think it is so important that LiftMaster® by The Chamberlain Group is one of the garage door opener lines we stand behind and sell. Their powerful motors, combined with heavy duty rails provide years of smooth, steady performance and durability. In addition, this best-selling garage door opener system is supported by a team of trained technicians. When it comes time to fix or replace any parts of your garage doors, our experienced, certified technicians are just a phone call away. Proactive preventive maintenance tune-ups and opener repair are also available. 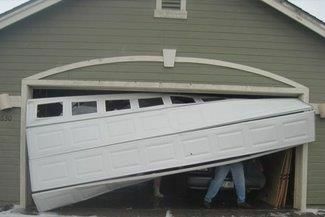 We can take care of any garage door problem quickly and efficiently. Will be offering some special offers soon – check back often for more details! Schedule an appointment with our team of professionals and find the peace of mind you seek! We serve a large territory, including Dieppe, Shediac and Sackville.